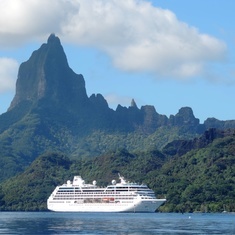 Pacific Princess has 338 cabins and 25 cabin categories. See what each category has to offer and read cabin reviews from the community. Avg. Size: 216 sq. ft.
Avg. Size: 555 sq. ft. The popular cruise tradition of formal dining lives on at the elegant Club Restaurant, where you are invited to enjoy a stately dining atmosphere and being served at fixed times by your own waiter throughout the cruise. Passengers are treated to the best of everything, including entertainment. The Cabaret Lounge is equipped with a state-of-the-art lighting system and presents a full schedule of entertainment including first-run movies, live music, variety shows, and more. 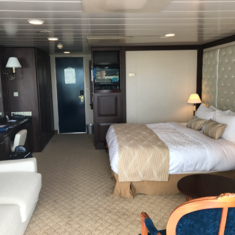 Is a transatlantic cruise right for me?